Today, 12 March is No Smoking Day. There are many reasons why people give up smoking and many of these are related to health issues or the effect it has on those around them. 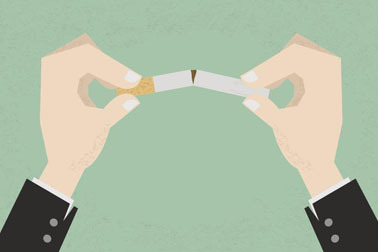 According to a recent review published online in the BMJ (13 Feb 2014, http://www.bmj.com/content/348/bmj.g1151), giving up smoking is associated with an improvement in mental health. People who have quit are more positive and experience less symptoms of depression, stress and anxiety. Smoking also increases the production of adrenaline in the body, the stress hormone that promotes the ‘flight or fight’ response, not good if you are already feeling stressed! But don’t be tempted to replace that cigarette with a cup of coffee as that is another culprit for the production of adrenaline. The good news is that exercise reduces adrenaline, so dump the cigarettes and pound the streets for that instant feel good factor! Here at Pharmacist Support we are challenging people to be mindful of their smoking for one day. Notice how you feel when you don’t smoke, does your mood change? Are your senses heightened? Does food taste different? Is your appetite altered? What has happened to your energy levels? How about getting your colleagues to sponsor you 50p for every cigarette you don’t smoke on No Smoking Day and pledge to donate the money you would normally spend on cigarettes to Pharmacist Support?